From Contrarian Outlook: Still feeling the taxman’s sting from April? Then you probably need to consider getting some tax-free income. If you aren’t intrigued yet, then let me show you some numbers–and what they could mean to your portfolio. There’s just one problem–MUB yields a paltry 2.4%! 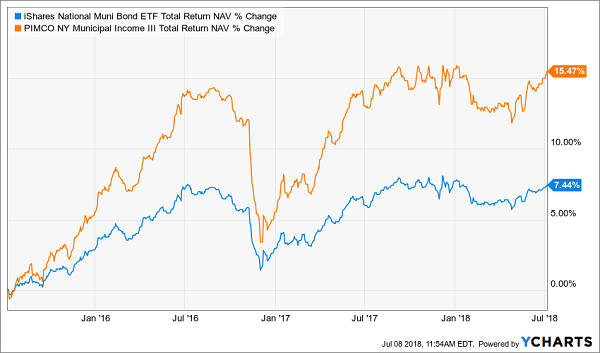 But have no fear–I’m going to show you 3 closed-end funds (CEFs) that yield far more than that and are still tax-free. Before I get to them, though, let me tell you why you should choose these funds, and why now is the time to jump in. 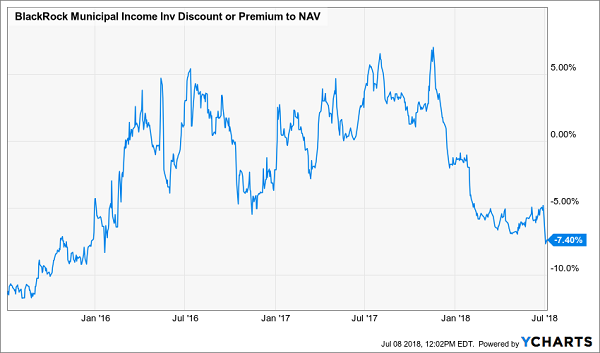 In fact, the average CEF now trades at a 6.3% discount to its NAV–which is near the biggest average discount over the last year. But some CEFs are more heavily discounted than others, while some actually trade at a premium–or for more than what their portfolios are worth. That risk of overpaying is why you can’t just choose any CEF. 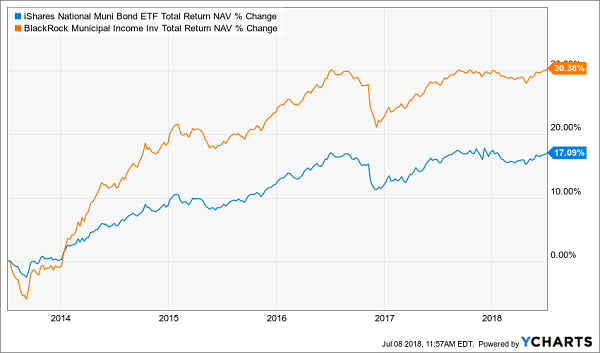 Which brings me to my second big yielder worth considering: the PIMCO NY Municipal Income III Fund (PYN), a 5.9% payer managed by one of the most respected names in the bond world: PIMCO, with $1.8 trillion in assets under management–more than the GDP of several small countries! Because PYN has just $51 million in AUM, it’s simply too small for a lot of large institutional investors–and that small size means that it’s incredibly inefficient, even by CEF standards. 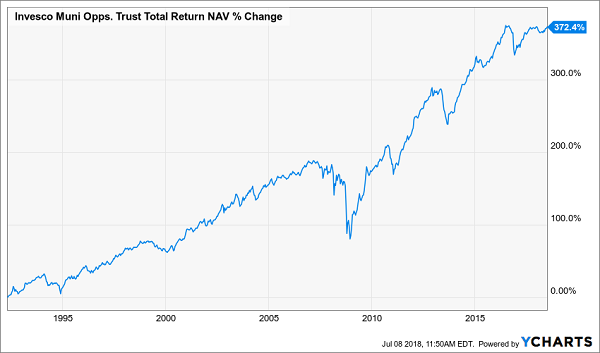 That’s why this fund typically has traded for a premium to NAV for most of the last decade, making its recent discount that much more appealing. Should we expect this premium to NAV to come back? The short answer is yes. The discount only showed up–and steepened–in the last few months due to the market panic of the last few months. But the market is getting more comfortable, which will likely result in BBF returning to its normal high price–giving those of us who buy today some tidy capital gains on top of that massive 6.1% income stream. There’s no doubt that in a few months we’ll look back at the selloff in muni bonds and recognize it for the terrific buying opportunity it was. So don’t miss your chance to lock in the safe, tax-free payouts muni-bond funds offer now–while you can still get them cheap. 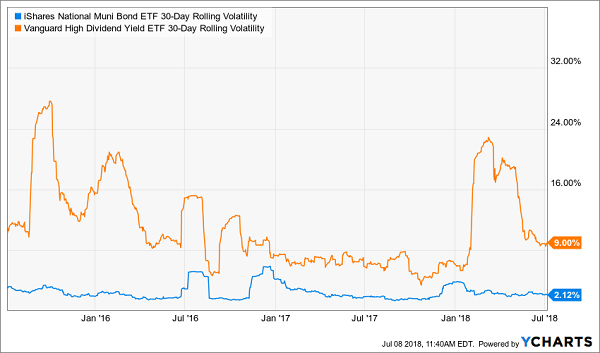 And just as I showed you with VMO above, REITs also do great when rates head higher–contrary to what most folks believe. 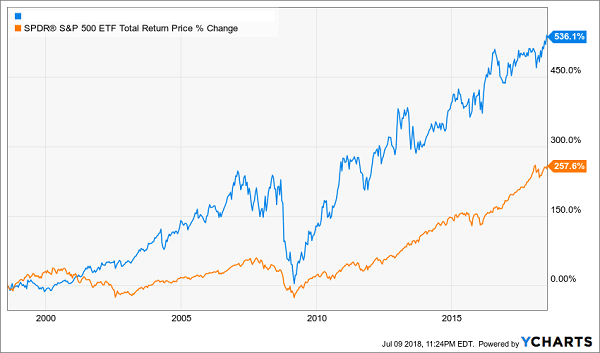 This fund not only more than DOUBLED the market’s gain–even when you factor in the Great Recession and the subprime mortgage crisis–but its incredible management team did it while paying a rock-solid 7%+ dividend the whole time! How do I know? 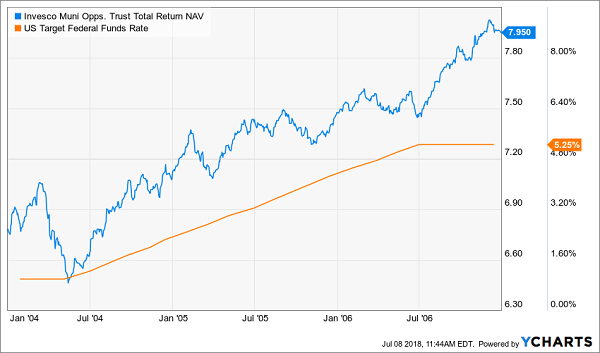 Because it’s happened many times in the past–and when it does again, we’ll easily be sitting on an easy 20% gain, on top of this fund’s juicy 7.8% dividend payout. The time to make your move is now. CLICK HERE and I’ll give you full details on this powerhouse fund, plus 3 other CEFs set to explode–and pay us 7%+ dividends–as interest rates head higher. The iShares National Muni Bond ETF (MUB) was unchanged in premarket trading Friday. 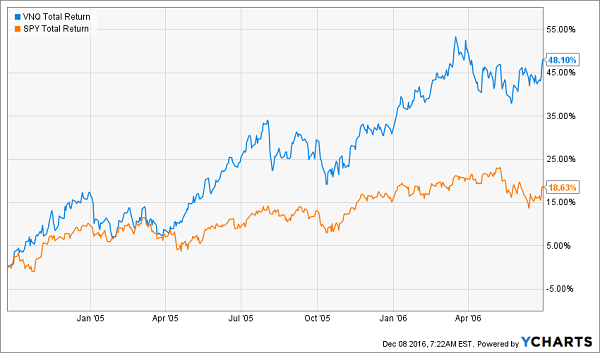 Year-to-date, MUB has declined -0.67%, versus a 5.11% rise in the benchmark S&P 500 index during the same period.